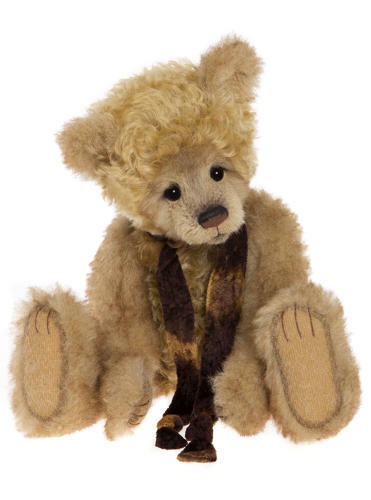 This charming little bear has been created using a combination of both Alpaca and Mohair in golden shades that make him look almost good enough to eat! He is fully jointed and has canvas paw pads with toe detailing. He has glass eyes and a hand embroidered nose. His accessory is a simple multicoloured scarf. If you like this bear then you should also check out their bear family Bagsy, Dollop, Lug 'Oles and Pudgy.